The story of the Miracle Broth™ and the legendary Crème de la Mer is one of hope and perseverance, meticulous science and the restorative power of the sea. Half a century ago, aerospace physicist Dr. Max Huber suffered burns in a laboratory accident and began a personal quest to transform the look of his skin. He believed the sea was a miraculous resource and sea kelp, in particular, captured his imagination. With its endless ability to regenerate itself, its nourishing properties and the powerful way it retained moisture, it held promise and hope. 12 years passed. 6,000 experiments were conducted. Finally, he perfected the precious, nurturing Miracle Broth™, which he incorporated into Crème de la Mer, the very first La Mer formula. The Moisturizing Soft Cream is a revolutionary new formula that delivers the profound benefits of Crème de la Mer in a soft, luxurious texture. Advanced absorption technology, Moisturizing Spheres, allow this new formula to penetrate deeply replenishing moisture and strengthening skin. Clinical testing demonstrated a 70% immediate improvement in moisture, and after eight weeks of use, a 65% improvement in visible lift. Skin looks renewed and energized, youthfully radiant. 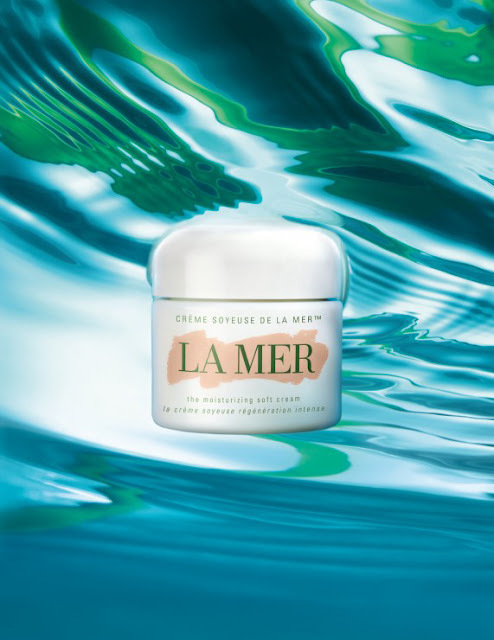 The latest breakthrough in La Mer science, Moisturizing Spheres create the rich yet weightless texture of the Moisturizing Soft Cream. As the two phases of lipid (Miracle Broth™) and water (Lime Tea Extract™) are layered in between emollients, tiny multi-layered spheres are formed, creating the smooth, lightweight texture. These Moisturizing Spheres are held together by a thread of gentle cohesive bonds, creating the smooth, lightweight texture. As the bond breaks on application, the small spheres instantly penetrate the skin and are absorbed from top to bottom, delivering moisture deep into the skin. The Miracle Broth™ and Lime Tea Extract™ encapsulated within the multi-layered structure melt layer by layer to release powerful anti-oxidants and replenish moisture. The Moisturizing Soft Crème contains the Miracle Broth™, with its legendary powers of transformation, and gives skin the deep moisture it needs to renew itself. A healthy complexion has an electrical charge that allows water to be drawn into the skin, keeping it soft, smooth and hydrated. Skin is transformed, leaving it softer, looking firmer, virtually ageless. Renewed and energized, skin looks youthfully radiant. Clinical testing showed a 71% improvement in clarity immediately after using the Moisturizing Soft Cream. 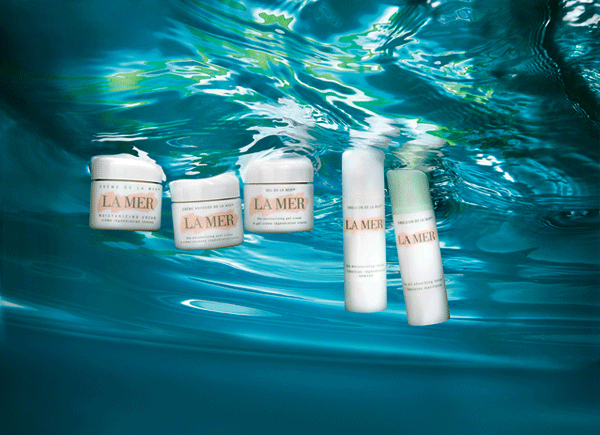 Born from the sea, the Miracle Broth™ lies at the heart of La Mer’s profound powers of transformation. Infused with nutrient-rich sea kelp and simple, pure ingredients including vitamins C, E and B12 and oils of citrus, eucalyptus and alfalfa, the Miracle Broth™ helps soothe irritation and calm the look of redness. Sensitivities appear soothed, and radiance is renewed. La Mer’s exclusive Lime Tea Extract™ is derived from hand peeled limes that undergo a careful extraction process. An original ingredient that Max Huber included in the first Crème de la Mer, the Lime Tea Extract™ is the perfect companion to the Miracle Broth™. Concentrated with powerful anti-oxidant properties, the Lime Tea Extract™ works to neutralize free radicals and help protect the skin from external assaults, allowing the skin to focus on renewal and repair. Vice President of Research and Development, Andrew Bevacqua, said they spent more than two years working on the texture, while the ingredients have been refined and tweaked over a period of fifteen years. While "the supporting cast of ingredients" have been changed from other La Mer moisturizers, Bevacqua explained that the biggest difference with the new product is the chemical structure, allowing for the lightweight application. Shop The Moisturizing Soft Cream at lamer.com.